City Print +, a full service commercial printing plant, has been a major player in the Cape Breton Printing Industry since 1973. 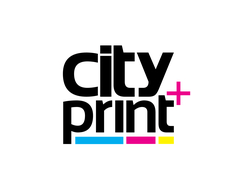 City Print + provides a full range of printing services including graphic design, pre-press, press, publishing, bindery and shipping. Printed products include stationery, business forms, promotional products, annual reports, corporate portfolios, postcards, posters, brochures, magazines, catalogues, newsletters, and books with soft cover binding, limited art reproductions and numerous other printed items.